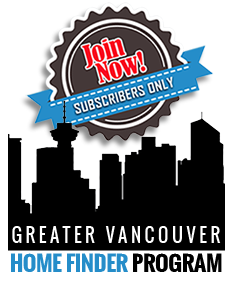 In this weeks video, Jamie explains 5 common Vancouver Real Estate Misconceptions. 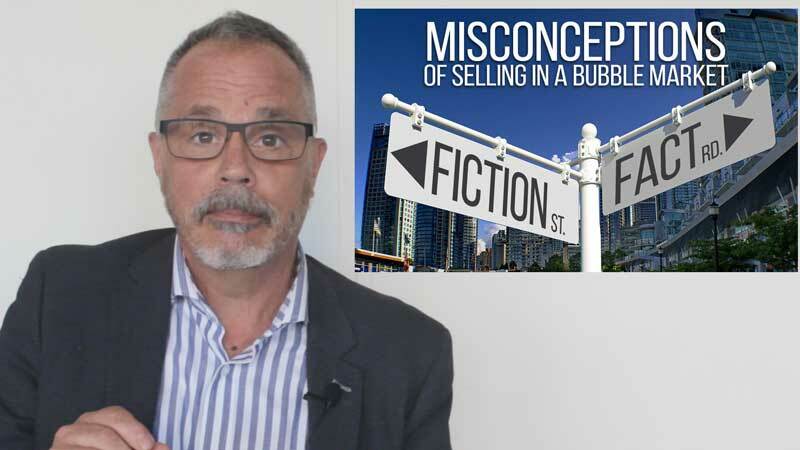 Today we are going to talk about 5 common misconceptions about selling your home in a bubble market. Misconception #1: Thinking that if you hang in there for a long period of time, that you are going to get your price for your home. If I had a dollar for every time someone told me, “Jamie I’m not in a hurry to sell my house”, I’d be a pretty wealthy man. Whenever I hear someone say that, it usually comes true later on, that this person is not going to get exactly what their home is worth today they are probably going to get less and here is why. If you overprice your home in a rising market, you might eventually get your price down the road, depending on how long it takes the market to catch up with you. However, if you do that in this type of market, all you are going to do is cost yourself money. I’ve seen houses that have been on the market for over a year, and are listed at the same price they were a year ago. If we use the Westside detached market, for instance, it is going down a point and a quarter or a point and half a month, and is down 12% over the last year. So if your house was worth $2,000,000 last year, and you listed it at $2,200,000, well now your home is worth $1,750,000! In a declining market, you’re costing yourself money by overpricing. Misconception #2: Thinking that realtors control the real estate market. If I were able to control and manipulate the real estate market, I would be doing something else. I wouldn’t be selling real estate and I’d probably be one of the wealthiest people in the world if I had the ability to do that. Real estate works on supply and demand and nothing a realtor does will alter that fact. Misconception #3: Thinking that changing agents just for the sake of changing agents will get your home sold. Let us say that you’re a person who has been on the market for a few months and you are not getting any activity on the home. Well here’s something that most people have no idea about. You as the seller control the flow of traffic into your home, not the realtor. How could that be? Well, the realtor is responsible for showing the property, but what is the most important thing you do to get traffic through your home? Your price. If you are not getting any traffic through your home and you decide that your realtor is not doing their job and you replace him and you put your house on the market at the same price, with a new realtor, well that is not going to fix your problem. You are just going to have the same problem with a different person. Think about it logically. If your listing is on the internet, which every person in the world can access and see, and you are not getting any traffic through your home, what is the difference if I post it on the internet or a realtor down the block posts it on the internet? It’s not going to make any difference. What is going to make the difference is the price, presentation, and the marketing. Changing for the sake of change, at anything, usually doesn’t change the results. Misconception #4: Thinking that certain realtors have big magical lists of buyers that when you list with them these buyers will come to your home. This isn’t true and it is such a common line that it drives me crazy. If you think about it logically, how could any one person have more buyers than the Internet can supply you? If you and I went and invented the widget tomorrow and we wanted to market it, we would not go and find one guy with a list of buyers, we would want to market it on the Internet to all the buyers. Even if a realtor has a list of buyers, with the rule changes last spring, they cannot bring their buyers in to write an offer on your home as the listing agent. They cannot represent both parties in a transaction anymore. It may have made a big difference back in pre-MLS days in the mid-’60s. Then it did matter because the listing realtor was the only ones that could sell your home, but that was 55 years ago. Misconception #5: I messed up and talked about misconception #5 already in misconception #3, but let me re-iterate it! Thinking your realtor controls the flow of traffic into your home. You control the flow of traffic by the realtor you choose and the price you put on it! It is your responsibility by pricing your home to control the flow of traffic into your home. The only way to increase it, if you are not getting anyone through, is to adjust your price.